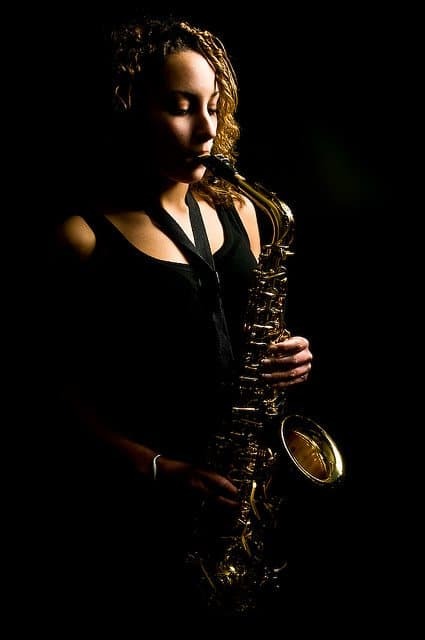 Yasmin Ogilvie is a London based versatile saxophonist who works with a variety of different artists and bands covering a diverse range of genres. She has recorded at Maida Vale, Abbey Road and Pinewood Studios and toured internationally as a live artist for well- known dance brands ‘HedKandi’ and ‘Ministry of Sound’. 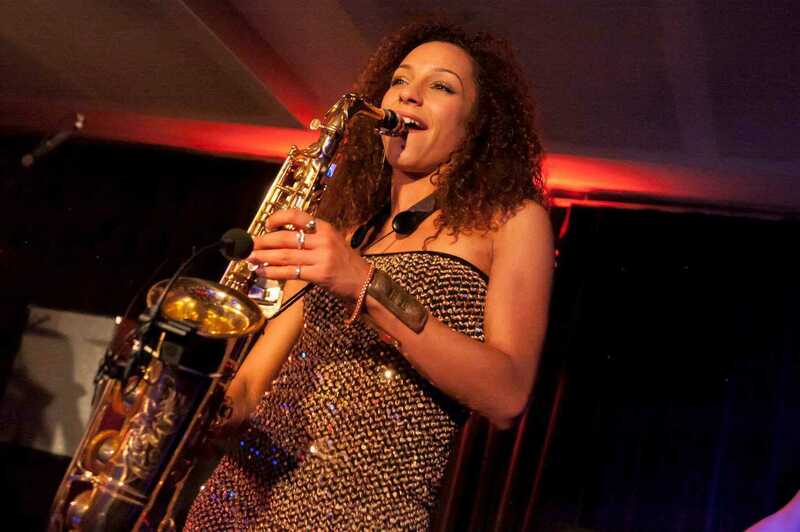 Yasmin is a member of ‘High On Heels’ where she performs in venues and festivals worldwide. She also performs in concerts, corporate events and private parties for companies including Dolce & Gabbana, Microsoft, Jaguar, Land Rover, Glaxo Smith Kline, Chelsea FC and Barbarian FC. Yasmin has performed with McFly, Kylie Minogue, Clean Bandit, Stereophonics, Kelis, Taio Cruz, Jocelyn Brown, Tinie Tempah and Zane Lowe. She has played with the London Breakbeat Orchestra, London Irish Symphony Orchestra, Dartington Festival Orchestra, London Arts Orchestra and Sevenoaks Symphony Orchestra and has performed in venues including the Edinburgh Fringe Festival, Rhythms of the World Festival, St John’s Smith Square, Cadogan Hall, South Bank Centre, the Roundhouse and Creamfields Festival. She studied at Trinity College of Music where she achieved a First Class Honours Degree studying with Gerard McChrystal and Mark Lockheart. 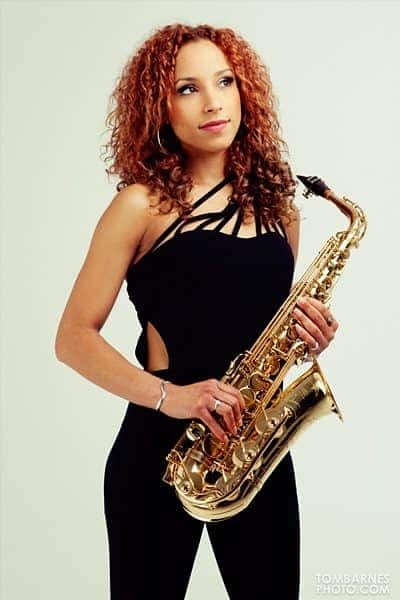 While studying, she often gave her own recitals and performed with jazz, classical, rock, Latin and Big Bands as well as being selected as a soloist with the Trinity Sinfonia and 1st Alto of the National Saxophone Choir of Great Britain. Yasmin has a keen interest in collaboration and has performed works with dancers and artists in exhibitions. She has recorded at Maida Vale Studios for BBC Radio 1, Abbey Road Studios and Pinewood Studios and toured internationally as a live artist for well- known dance brands ‘Hed Kandi’ and ‘Ministry of Sound’. She has performed at corporate events and private parties for large companies including Dolce & Gabbana, Microsoft, Jaguar, Land Rover, Glaxo Smith Kline, Chelsea FC.